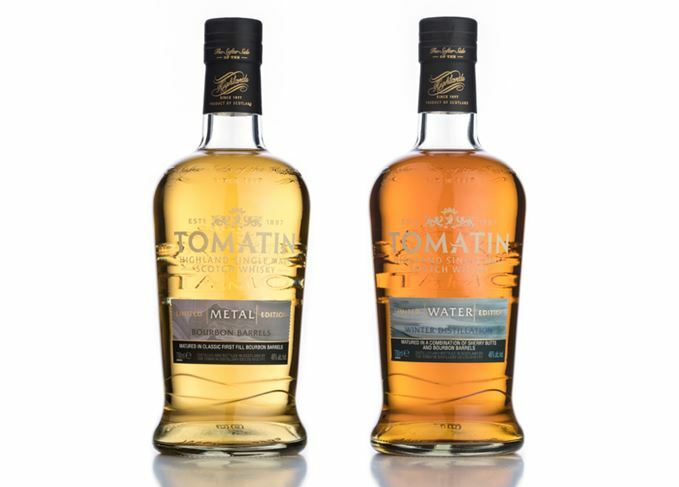 Highland distillery Tomatin is releasing the final two limited edition expressions in its Five Virtues series – Metal and Water. Only 6,000 bottles of each expression, have been produced as part of the limited release, with previous entries in the Five Virtues series selling out within six months. The Five Virtues series is named after the elements of nature, with Metal and Water joining Wood, Earth and Fire to complete the collection. Metal is a reference to the distillery’s 12 copper stills, aged in first-fill ex-Bourbon casks to provide flavours of ‘soft creamy vanilla laced with milk chocolate, marshmallows and ice cream’. Water refers to the water drawn from the distillery’s local Alt-na-Firth burn, and is matured in Sherry butts during the winter to create ‘hints of chocolate honeycomb and smooth toffee, which are complemented by rich blood orange marmalade’. Graham Eunson, distillery general manager at Tomatin, said: ‘In the Water expression, a winter distilled spirit results in a slightly heavier and fuller spirit, which when combined with its Sherry cask maturation, gives a great, full-bodied whisky. Like the rest of the Five Virtues series, the whiskies are packaged in cartons featuring the work of contemporary artist Eva Ullrich, representing each particular element with a piece of abstract art. The single malt collection is inspired by the elements wood, fire, earth, metal and water. Thoughts on the latest whiskies from Benromach, Glen Moray, Ledaig and Tomatin. The average Scot’s DNA descends largely from Beaker People, Germanic and Norse Viking lineage. The limited-edition single malt has spent five years in Portuguese Moscatel barriques.